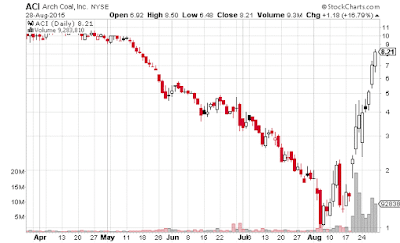 I looked through about 40 oil and gas stocks charts looking for ones bottoming out. I wasn't crazy about any setups. REXX looks like it could run this week. Others are either looking overbought already or not bottoming even with oil up 19% in 3 days. They're just messy. The exception is one or two below I will be watching. Oil itself looks like the better vehicle. Enough on that. 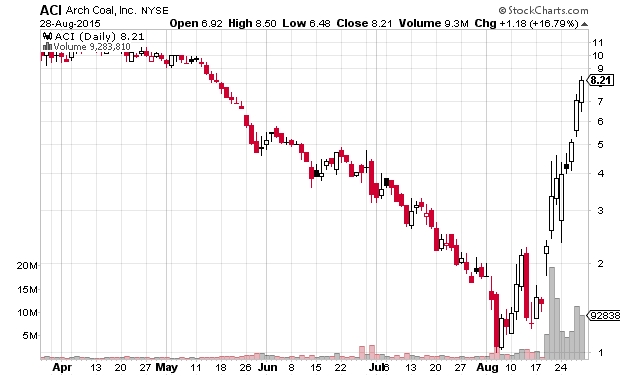 This natural gas trust HGT probably had the best technicals. 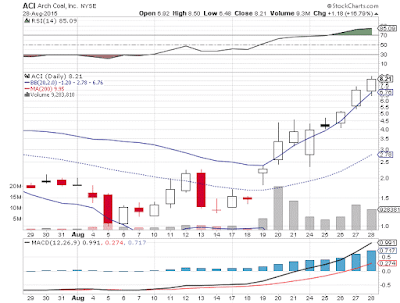 It has a 15% dividend yield to. I usually don't pay much attention to large and mega-cap stocks but with the volatility and clean charts I'm watching NFLX and AMZN. They're both a trading range breakdown that is testing the bottom of the trading range. Technically they should go lower from here. I like these short biased. 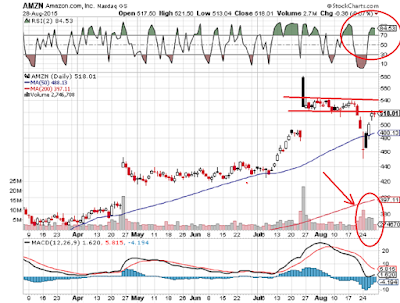 Here's Amazon AMZN below. 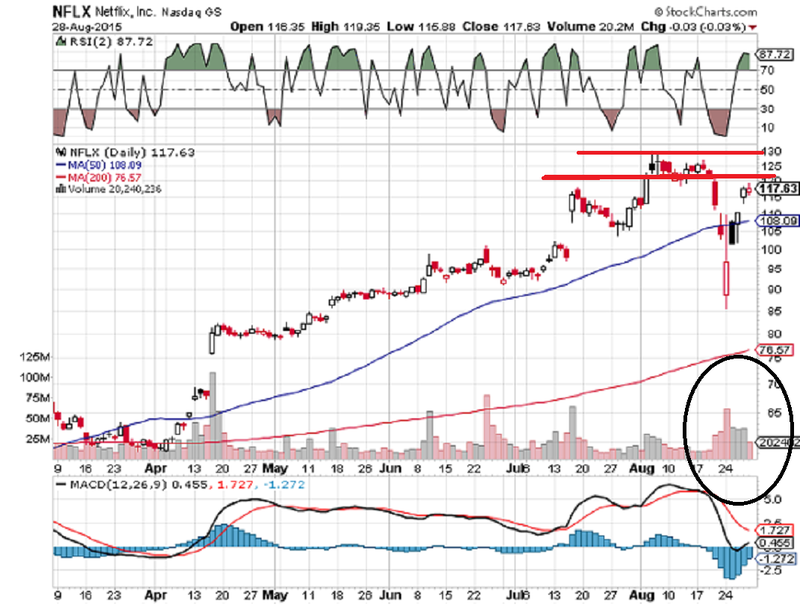 Testing that red line of range support and not much buy volume below on this rebound. It's very weak at the moment. 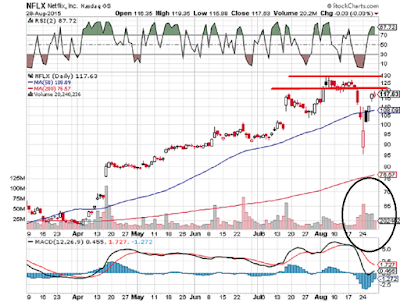 Overbought on RSI 2 is just a confirmation of the range test. Next is NFLX. Same thing. 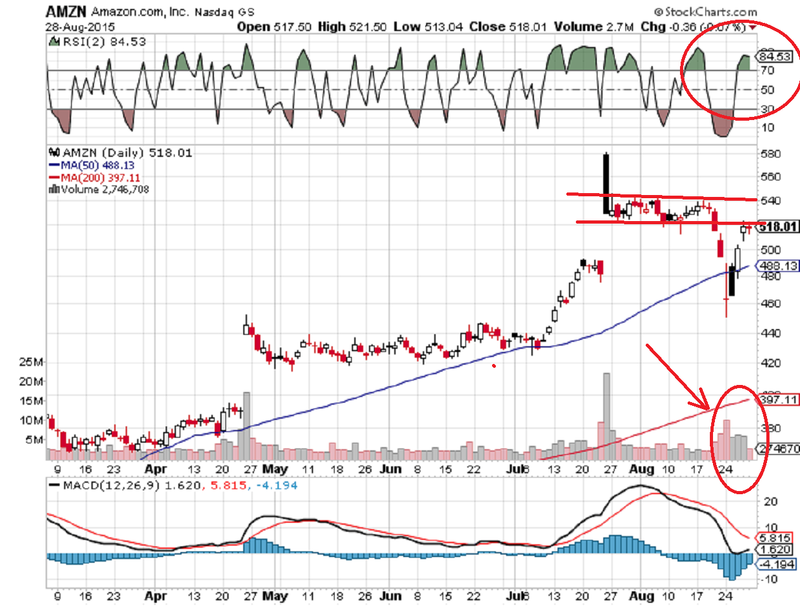 Next is a great short setup with ACI. The picture says a thousand words. From $1 a share to $8 and going. 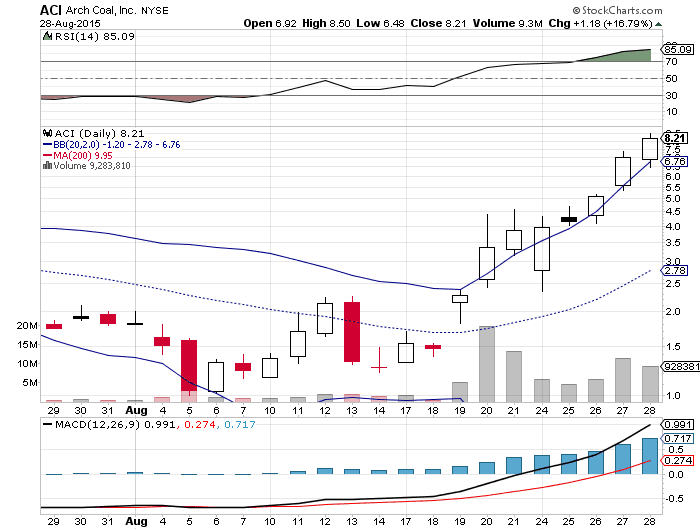 Sure it was probably undervalued at $1 but it will fall at some point this week. Maybe Monday. Upper Bollinger band shows it is way above it in the second pick below. MPO and EOX are momo watches to.